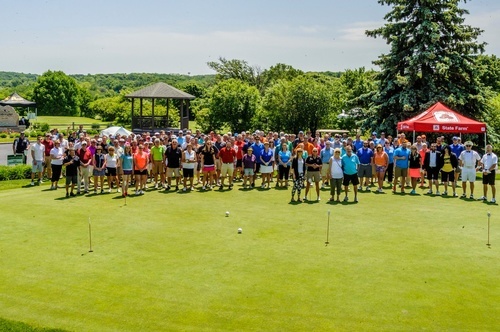 The Pewaukee, Delafield, and Hartland Chambers of Commerce team up each year to produce the annual Tri-Chamber Golf Outing hosted by chamber member Western Lakes Golf Club in beautiful Lake Country. Chamber members, associates, and guests, are invited to an 18-hole golf scramble full of fun, food and socializing that creates new friendships and business connections "on and off the course." Hole contests, performance (or lack of) awards, impressive bucket raffles, and engaging activites at numerous holes make this event a delightful memory from the driving range to the 19th hole. Not a hot shot? Don't worry, we offer mulligan packages to give your game a boost. Earlybird registration is NOW OPEN! Don't golf but want to participate? Or Perhaps can't get off the whole day but want to join in the fun? Here are some ways to join us!